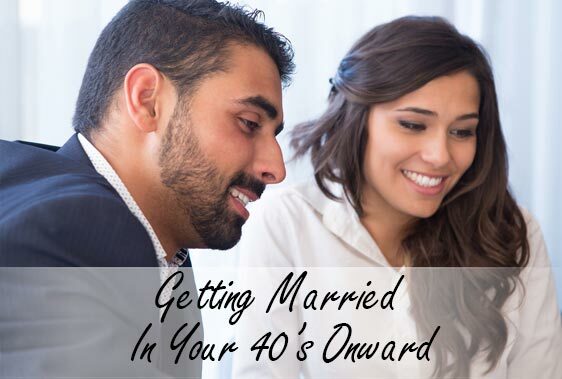 You are in your 40’s and you want to get married. That is why you are on Shadi matchmaking site to find someone special to be your lifelong companion. You are likely nervous about what kind of potential matches are available to you since you are no longer in your 20’s and 30’s. Either you were not ready to settle down and get married in the past, or you are divorced and want to meet another potential lifelong partner. And, you are hoping at the same time that you really will spend your life with the next person you marry. However, because of your age, you are concerned that there are not that many fish in the sea. That is compared to how many are available to singles that are in their 20’s and 30’s. But here is the good news. Just because you are in your 40’s and looking for your lifelong partner does not at all mean that it won’t happen. Plenty of singles that are older end up finding their perfect matches whether it is through our Shadi matrimonial site or elsewhere. That means you must not assume that you won’t be lucky either!. Don’t be too picky and be prepared for the possibility of having step-children – Chances are because you are in your 40’s that many of your potential matches are divorced parents. So that means, it is not a wise idea to blow your potential lifelong partner off because kids are in the picture. Be prepared as well to be dealing with their ex’s as well especially if their kids are under 18 years of age. If you really dislike kids, however, then you will need to be very patient to find a potential mate that has the same views as you do. Be willing to bend and make compromises – As people become older, they are more set in their ways. There are so many reasons why this is the case. The most common reason is that these individuals have spent a lot of time in their 20’s and 30’s experiencing many challenges that had tired them out. In addition to that, many people in their 40’s have had so many other positive and negative experiences that had shaped them to live a certain way, and they have stuck to keeping habits that literally keep them comfortable. That means they are not as easy to change as someone who is much younger is due to the fact that they have had fewer life experiences simply due to that- their age. That means when you are looking for an older mate, you will need to compromise somewhat, and the same will apply to your potential mate as well if they are also in their 40’s or older. Make sure you have some things in common with your potential mate – Just like it is important to not be too picky when you are dating in your 40’s as well as being open to making compromises- you also want to make sure that the partner that you could be spending the rest of your life has some things in common with you. That means if you really want to do a lot of traveling, you will want to hook up with someone who has the same desires. You will not be happy if you plan to travel the world on your bucket list and your mate just wants to be a homebody. It all boils down to finding the best balance. When you are looking for a mate in your 40’s on our Shadi matchmaking site, you must never assume that there won’t be anyone that is out there that is right for you. However, at the same time, because there are not as many options for you as there would be for someone younger, you need to make some compromises and be willing to bend.